Amanda Cromwell, a biology major who graduated from the University of Virginia in 1992, had aimed to go the medical school, and took her MCAT exam while playing for the USA during the qualifying tournament for the 1995 Women's World Cup. But Cromwell ended up playing for the USA through 1998, and pro ball through 2003 while having embarked on a coaching career that led to her current position as head coach of UCLA. Cromwell, after serving as head coach at UMBC (1996-97) and Central Florida (1999-2012), arrived at UCLA in 2013 and in her first season guided the Bruins to their first NCAA Division I women's soccer title. This season, the Bruins fell, 3-2, to Stanford in the national championship final. Along with Becky Burleigh (Florida, 1998) and Erica Dambach, née Walsh (Penn State, 2015), Cromwell is one of three women to have led a team to a NCAA Division I women's soccer title. SOCCER AMERICA: Have you noticed an increase in female head coaches? AMANDA CROMWELL: No, I don't think so. I know there were two women at the final four [Cromwell and South Carolina's Shelley Smith] out of the four coaches -- and that’s a high percentage given the amount of women who are head coaches across D1. I think it's still a major problem. Why do you think there hasn't been an increase? A variety of reasons. Sometimes female coaches may stay in assistant coaching positions because they think that might be more accommodating with having a family. But I don’t know if they’re given the opportunities to get head coaching positions. On the club level, I see it all the time -- women given positions to work only with the younger kids. Not given the head coach positions in the clubs at the higher levels. You need to give them an opportunity to prove themselves, to dive in, get it done, to deal with parents … I was fortunate in that I was given an opportunity at the college level. I was coached by women my whole career. My high school coach was a woman, my club coach was a woman and a man, a married couple, and my college coach was a woman [Lauren Gregg at the University of Virginia]. There are some players who have never been coached by a woman. I had a different background. It was normal for me. The best coaches I had were women. Maybe I was a little naïve in thinking other players had my experience. As I got older, I realized, wow, they didn’t. What has your experience been like in the male-dominated sports environment? I was really lucky at the University of Central Florida, where I coached 14 years. They were one of the most advanced schools with Title IX requirements, making sure their standards were up to snuff, especially with equality with the men’s team. And I remember feeling very fortunate with some of the things they did -- salaries and budgets and making sure we were treated right. Have you ever felt discriminated against as a female coach? A referee will come up to my male assistant coach assuming he was the head coach, and that’s happened at UCF and UCLA, even after we won a national championship. Refs think the woman is the assistant, they don’t do the research and just automatically assume a woman is lesser than a man. I’ve made my feelings known on that to the ref assignors and have had my chance to speak out about it. Would you like to comment on the #MeToo movement? In the end, I’ve had it a lot easier than most women in workplace, whether it’s sports, soccer or any other industry. I feel like I’ve been around people who get it for the most part, but I know that’s not always the case. I hear things and I see things in the club system. There’s issues. There’s issues with men using their authority over young club players, or whatever it might be. I’m glad the society is talking about it, probably 30 years too late, but at least it’s coming out. 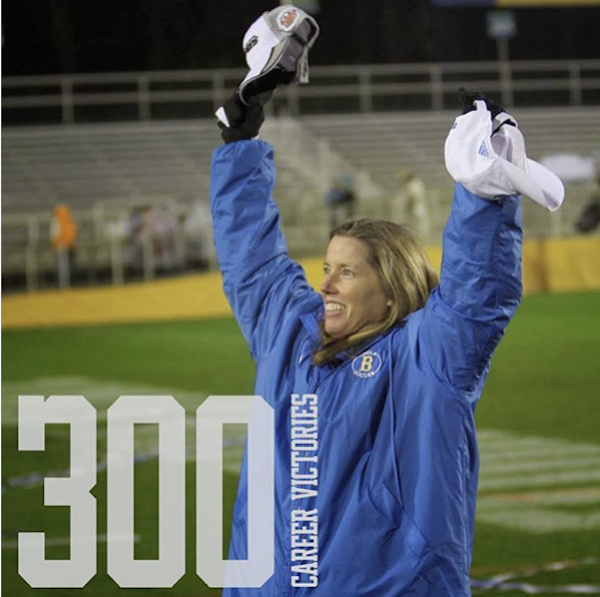 Amanda Cromwell celebrated her 300th DI coaching win in 2017 and finished the season with 308 wins. How different has recruiting gotten over the years and decades, looking back on your early years as a player, then coach? Everything is so different I don’t know if you can equate it at all. You have the DA [Development Academy], the ECNL, the National League … there are so many different leagues. Then you have all the side things, id2 and PDP and ODP. Training Centers. They’re doing so much all the time. A lot of the girls don’t do multiple sports now, which I think is a shame. What's your opinion on U.S. Soccer having launched the Girls Development Academy this year -- and how the DA competing with the ECNL will play out? I don’t know how it will play out. ... U.S. Soccer getting involved and having something similar to what they have with the boys is always a good thing. You want the equity there. ... In a state like California, it’s interesting because we have really good teams that are still in the ECNL and I know the ECNL has attracted and done a lot to keep teams in that league. More players are spread across both leagues, so there are going to be some games that aren’t going to be as competitive. We have to figure out which ones to go to. But I have a really good recruiting coordinator in Josh Walters and he does the navigating for me. There are a lot of quality teams in Southern California. We’re lucky in that we can go see league games. We don’t have to necessarily wait for tournaments to see these players. How do you feel about the Development Academy and it's no high-school ball stance? How many of your UCLA players played high school? I don’t know what the breakdown is but there were quite a few who were still playing high school. Mal Pugh, she still played in high school, and she was our best recruit from a year ago, who is now playing pro. I don’t think playing high school is a bad thing. That should be up to the individual and her situation. I know some ECNL teams have that as standard as well. ... I played high school basketball as well -- and there’s no way someone would tell me I wouldn’t be able to play another sport in high school. I wouldn’t have agreed to that. 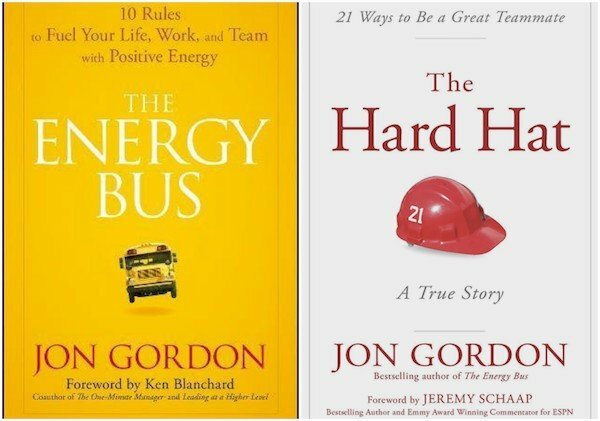 I like leadership books such as those by Josh Maxwell and Jon Gordon, whose books are awesome. Jon is a friend of mine so I’ve been able to pick his brain on stuff. Last spring we read "Hard Hat" as a team and had a little weekly Q&A you can do with your team. What's it like for your UCLA players who balance national team play with college? We have two players [Karina Rodriguez and Viviana Villacorta] who went into a U-20 camp right after the final four this year. And I was not necessarily happy with them being asked do that right after playing in the final four and having such a long season, but I talked to [U-20 coach] Jitka [Klimkova] and the communication was really good, making sure they recovered. And they gave them the PT [physical therapy] and the massage therapist and get what they needed before playing. ... Jessie Fleming’s on the full Canadian national team and we have challenges with camps, but UCLA is used to that. Because of the quarter system there are times when players have even taken a quarter off to prepare to do what they need to do for their national teams. Social media I think adds stress, it adds time-wasting. They need to be better at time management and now you have this whole social media aspect. I think there are things that go on that kids get caught doing, pictures posted, that we used to do back in the day that no one ever heard about. And they're under pressure and have to be on guard a little more. They have to know they’re representing their school and their team. There’s a lot more chances for them to be caught messing up. A lot of eyes are on them. At a school like UCLA, everyone knows who you are, whether you’re a basketball player or soccer player. Everyone seems to know. Especially when you’re successful, people are waiting to knock you down, to catch you doing something wrong. We warn our players about that, for sure. What kind of rules do you have about social media and use of phones? We don’t allow phones at team dinners. And our girls are really good about interacting with each other anyway, but it’s just nice to make them leave it on the bus and see them interact, or play cards, or do whatever it might be. Come up with games to play. It goes a long way, because in the end, they tend to hide behind their text messages and social media, and they don’t know to communicate as well. And when they get out in the work force, or come into the office and ask for a scholarship increase, they’re not equipped to do it because they don’t communicate, face-to-face or verbally, anymore. So that’s one thing we try to make sure that they become equipped to do. We have a social media guideline that they have to abide by. It’s pretty straightforward -- about what kind of pictures get posted, not talking about the team or injuries, not talking about other teams and trying to rile things up. ... We don’t talk about refs. It’s not a place to vent. Is there support from women's coaches to convince the NCAA to spread the soccer season over two semesters? We talking about it, but we’re more split on it [than on the men's side]. ... I’ve been in favor of it. I think it’d be good for the game. You see a weekend like our final four. We play Duke and go to PKs on a Friday night. We eat and we’re not back in our hotel until after midnight and we have to play on Sunday at noon in that heat in Orlando. I think that’s pretty ridiculous. There needs to be something that preserves product on the field and the student-athlete’s welfare. Soccer is meant to be one-, occasionally a two-game a week sport. I wouldn’t mind seeing that full-year schedule but I think there are a lot of hurdles to clear. What would you like to see more in girls soccer at the youth level? I think players need to be more students of the game ... if club coaches can get their teams to watch more soccer together, whether it’s on TV, or go games together, whether it’s NWSL, MLS, or college games, whatever it might be. Players need to being more culturally ingrained in the sport, watching the top leagues. It’s so much more accessible now to watch really high-level games. We harp on that with our girls, too. Watch more and be more of a student of the game so they can be a coach on the field. What do you look for in players? Comfort and composure on the ball. Being really good with both feet. We really value players who can get out of tight spaces and figure things out with their first touch. Have American girls become more skillful over the years? I think so, our teams in the last couple years have had very skillful classes and I think that bodes well. Lauren Gregg, my coach at Virginia, who was also assistant at national team when I played under Anson Dorrance and Tony DiCicco. She was the the first one from whom I learned and saw the competitive nature of training and how to instill that into the player. And what she did to get players to play for each other. Creating an all-out competitive training session, bottling that and taking it to a game environment. Anson with the national team was the same, and Lauren played for Anson at UNC, so I can see his influence on her and how she coached us in college. Anson talks about that competitive cauldron and having really good training sessions. I also got to coach with Tony DiCicco as his assistant coach at the 2008 U-20 World Cup [which the USA won]. He did a really good job. He was influenced by Anson and added in his own style. And I think he did a really good job of developing relationships and making sure the players felt valued no matter what their roles were, whether they were reserves or starters. He molded them into having this same vision, same goals, same work ethic and having each others' back. I learned a lot about the relationship aspect and the value of what each member of the team and staff brings to the program from Tony. He approached the U-20s with the same professionalism, same approach, and treated that team like basically like the full team. And he made hard decisions -- changes to the team between qualifying and the World Cup that some in the coaching community disagreed with -- but that created the camaraderie and the cohesive team needed to win the World Cup. 3 comments about "UCLA's Amanda Cromwell on women in soccer, the new youth landscape, and role models Tony DiCicco and Lauren Gregg". Kevin Leahy, December 28, 2017 at 10:28 a.m.
University of Maryland/Baltimore County. A school that has been used as a stepping stone for several coaches of the years. Ric Fonseca, December 28, 2017 at 2:58 p.m.
OK. Most everyone knows that I am a Bruin, and so this is one of the most refreshing articles I've read, especially about UCLA's womens Soccer Program. And as a college teacher of history (social/political) I also dwell in the history of college soccer, and know only too well the Title IX hurdles we all experienced during the late '70s and into the '80's. Coach Cromwell is indeed an excellent fit for the Westwood campus after several tries were made to establish, improve and expand the program. I suppose I could say, "ironically" one of the pioneers of women's soccer at UCLA was a former member of the university's men's program, followed by another member of the program about the time Titil IX was being implemented, and I must say that it is very refreshing to read about yet another pioneer of the women's program, and even more interesting to also have read about another coach, Terry Fisher, who incidentally also coached both Steve Sampson and Sigi Schmid. However, the Bruin Women's program, under Coach Cromwell's tutelage/coaching is indeed a very frefreshing topic that deserves all the accolades and praise. So, to the Lady Bruins and coach Cromwell, congratulations on an excellent year, and may 2018 be an excellent year. Wooden Ships replied, December 29, 2017 at 9:19 a.m.
Ric, I too enjoyed the article. It was also good to hear that she is in favor of the two semester season (not enough women’s coaches are on board). Yes, it would help player development some, but it is smarter and safer. For me, it’s disrespecting the game to not be in favor. I think there are far less hurdles involved as she indicated, me thinks she was trying to be diplomatic. One big hurdle is that many coaches count on club freedom in the Spring for recruiting and extra income. Too many aren’t all in with the college game. Another thing that was always a frustration for me was the lack of passion for the game, i.e., watching others game, especially higher level play that they could learn from.